PDF DocumentSource is a PDF component that reads, prints, searches, and exports your PDF documents. It also acts as a key component to load and view your PDFs in FlexViewer, a cross platform viewer that can load report and document types like FlexReport, C1Report, PDF and SSRS Documents. FlexChartField enables users to embed charts into a FlexReport. 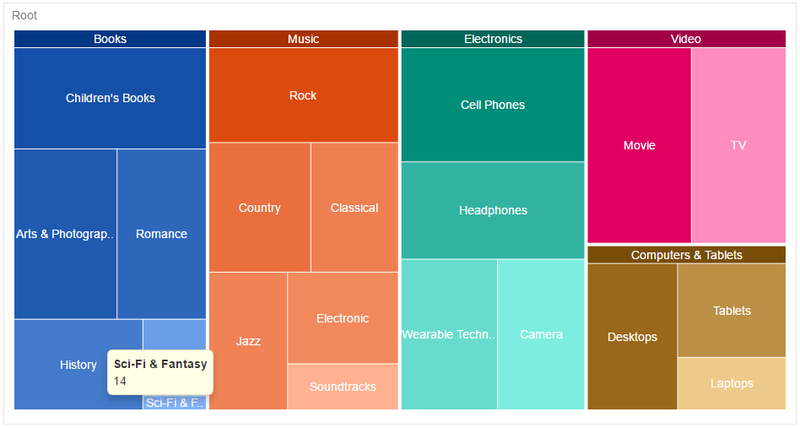 FlexChart supports 50+ chart types and properties, and FlexChartField vastly improves the speed and expands your data visualization possibilities. 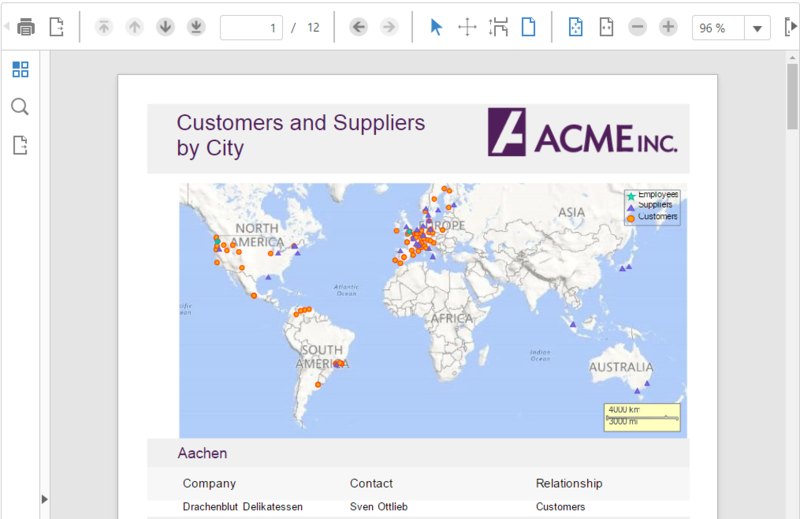 Read more in our V1 blog about FlexChartField. WPF's launch of FlexViewer completes its full entry into the world of FlexReport--now you can design FlexReports in your code-free FlexReport Designer and view them in your WPF apps. 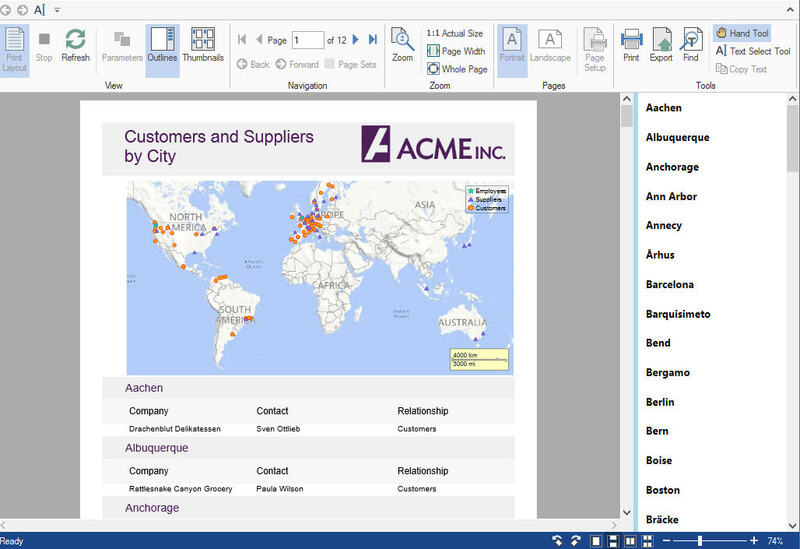 You can also view PDF Files and SSRS Reports in this viewer. DateEditor, a flexible date input control that displays the CalendarView control in a dropdown, enables faster date input and selection. This new control has better performance and appearance than old DateEdit from C1Input assembly, but it has a similar API. The new CalendarView and DateEdit controls support Japanese calendars and Eras and other non-Gregorian calendars. 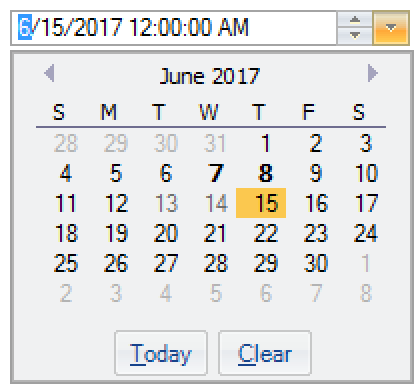 GanttView now provides a backColor for specific days of the week. True DBGrid now supports a footer row in the SaveExcel method. Ribbon now supports scrolling when the ribbon is smaller than the tab area. C1WordX demonstrates how to use the C1Editor control to build a rich text editor. StockChart allows you to explore adnavced features of FinancialChart. FlexGrid now includes the RowDetailsTemplate feature, a common feature in the most XAML data grids. With the current version, RowDetailsTemplate can be set from the XAML with no code-behind required. 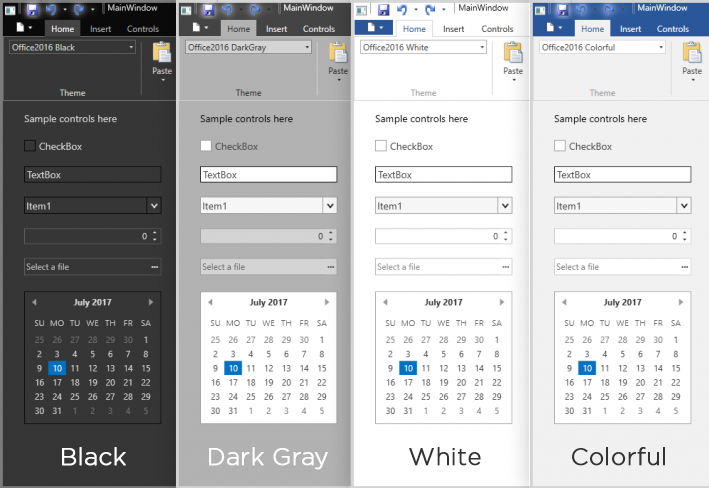 Provide modern styling in your XAML apps with Office 2016 themes for WPF! Themes include both light and dark styling. Read more. We've added a couple of project templates including a "Grid with Menu Template" and "Docking," so you can get started quickly with our FlexGrid and Docking controls respectively. Read more. 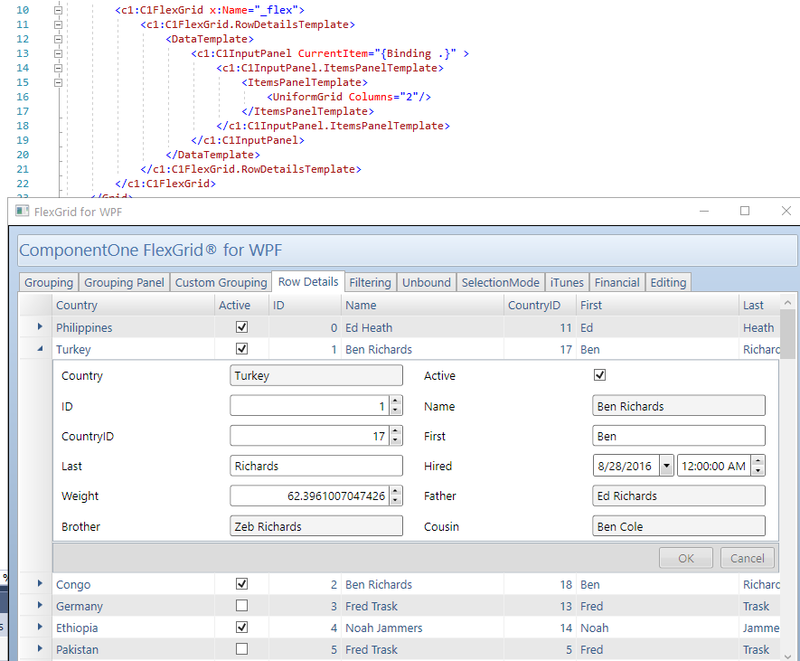 Read more about GanttView for WPF. 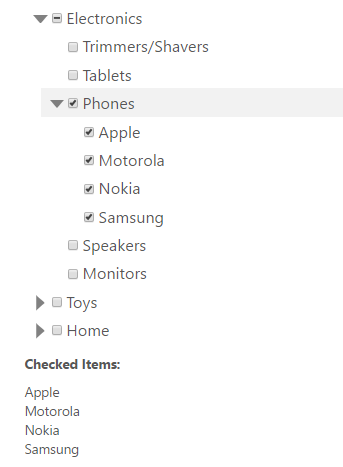 Recently launched in Wijmo and WinForms, users can now easily build interactive hierarchical lists that can include check boxes, images, text, or HTML. Recently launched in Wijmo, MultiAutoComplete enables users to perform and select multiple autocomplete input operations within the same control. View your PDFs in FlexViewer's new PDFViewer, which includes printing, exporting to HTML and image formats, document rotation, and zoom by selection. 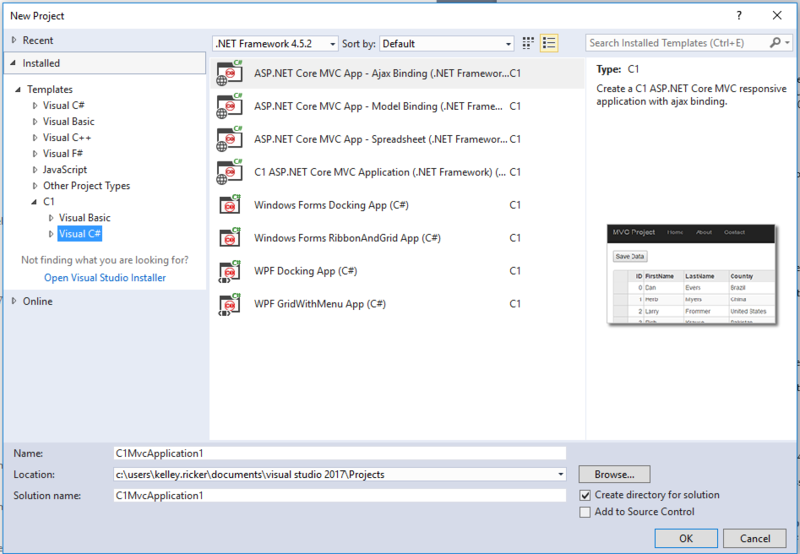 ASP.NET MVC will also include new project templates for FlexGrid model binding, AJAX binding, and a spreadsheet. Read more. Users will be able to instantiate the scaffolder from views to update a view with C1 MVC controls. This feature adds an MVC control to existing view and updates corresponding controller. Read more.